Back in May when we had our (two) holidays to Spain, first one here and second one here I popped in Kiko. When I say 'popped' it was nothing of the sort really. We were down in Marbella for the day and I knew they had a store there. I wrongly assumed it would be in the town. Oh no, that would be too easy wouldn't it?! Mr C tapped it in the sat nav, which we both assumed (wrongly) would get us there quick smart. Wrong again. It took us on a tour, up hills, down what look like dirt tracks and off up the mountains (more or less). Anyway to cut a long story short we got there eventually to my total excitement. You see I was after a particular product, a facial self tanner to be exact. Bloody discontinued wasn't it. I obviously didn't want it to be a wasted journey so I forced myself to shop for other items. I probably didn't need anything but, you know!!! 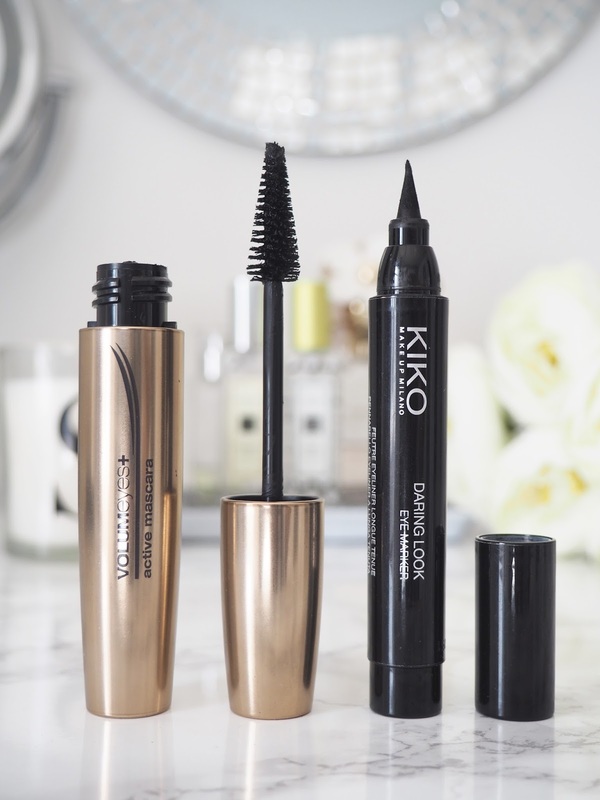 So let's talk about this Kiko mascara. 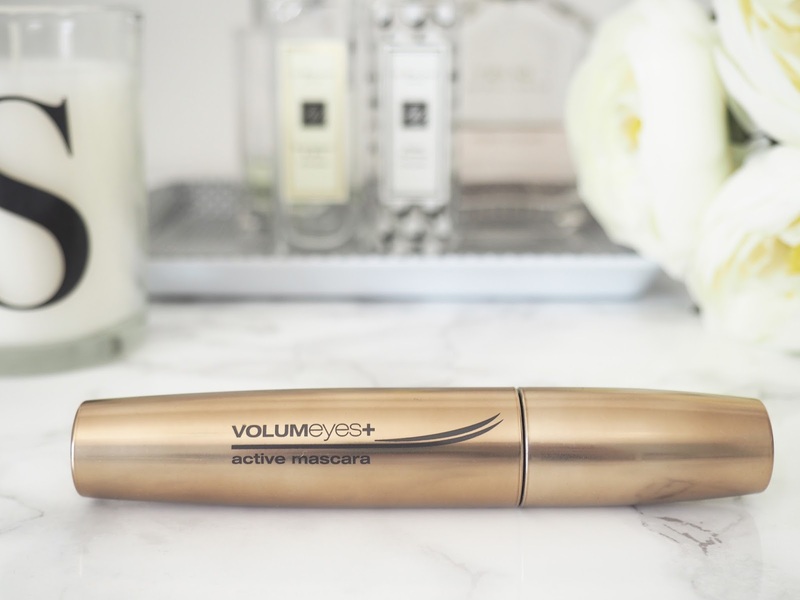 Volumeyes+ active mascara is one of my faves. 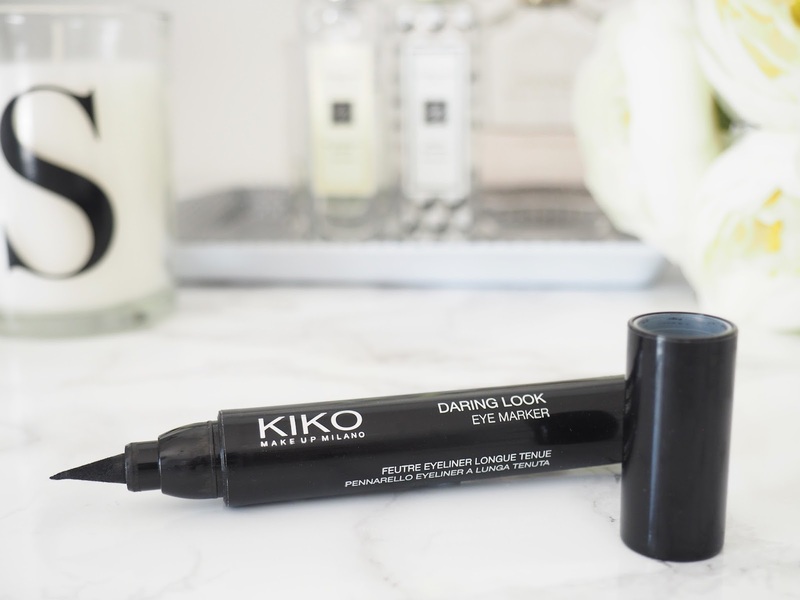 I first picked one of these up on a trip to Malaga city a couple of years ago, and that was actually the first time I had come across Kiko, I don't think they were very big in the UK then. I've been in love with it ever since. I use it as my third coat mascara. Let me explain. I always use my Lancome definicil mascara as my first and second coat as that lengthens my lashes. I will then go in with a third coat using my Volumeyes+ to make my lashes thicker. It does what it says on the tin, it adds plenty of volume. Works a treat. The conical shaped brush distributes the product really well with no clogging and the shape allows you to get right into the corner to catch those tiny baby lashes. 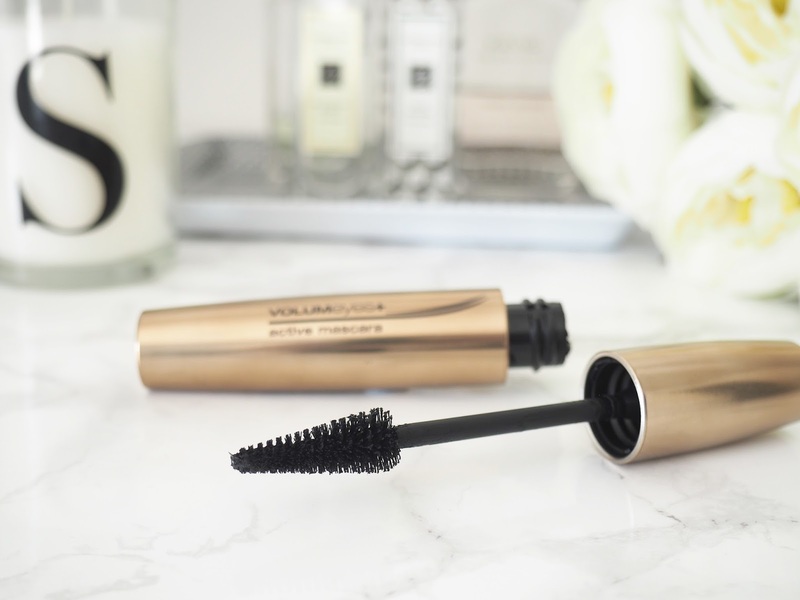 If you looking for a thickening, volumising mascara then you should give this one try. I don't ever want to be without it. So, I bought four! Well, it was on offer at the time, if I remember it was reduced to 4.90 euros so how could I not stock up. I also picked up a new eyeliner. I wear a black eyeliner most days. Nothing dramatic, no flicks or anything, just a touch to try and make me look awake at least. With eyeliners I prefer the pen style, and after looking at their selection opted for the Daring Look eye marker. It's quite chunky so easy to grip, with the tip being quite thin allowing a precision line to be drawn. Hmmm.......not so easy with a ridiculously 'bendy' tip! The very end bit is so flexible is makes drawing a line a bit more difficult and can end up being messy. When your eyelids are more wrinkly anyway, it's never the easiest but this isn't good. You can see the bendiness (that is a word) in the photos. Mine could just be a dodgy one from the batch I don't know, but what I do know is that is doesn't have very good staying power either despite their write up saying the line stays intact and smudge free. IT DOES NOT. I have to re-apply throughout the day with this one sadly. I had high hopes for it but the EYEKO one I got free with my magazine is much, much better than this one. So, a massive thumbs up for the mascara and thumbs down for the eyeliner. 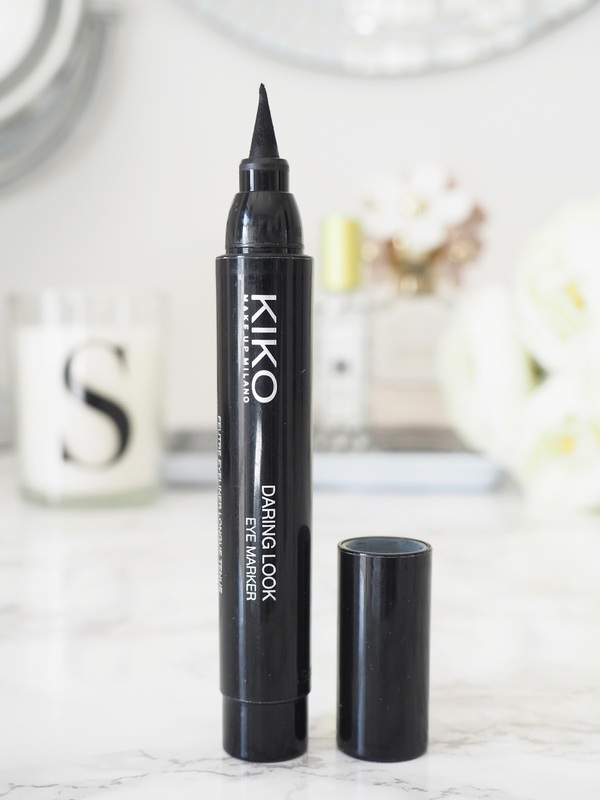 Are you a Kiko fan? What's your favourite product? Oh that's a shame, I liked the look of that eyeliner.